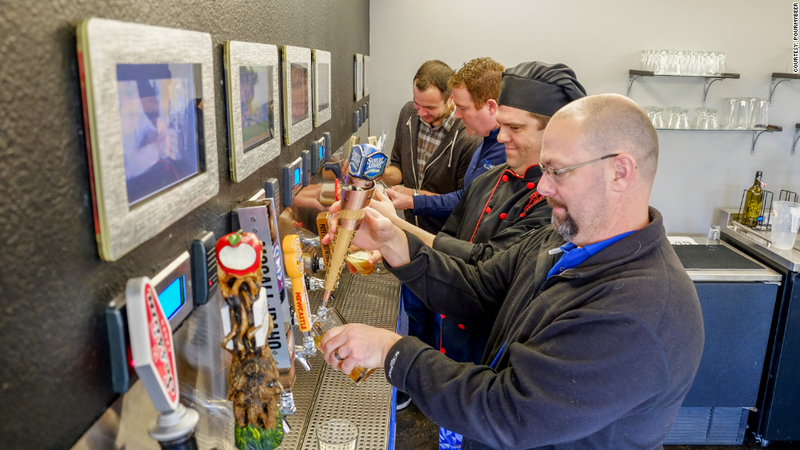 PourMyBeer's self-service beer walls and beer tables are already at 200 locations nationwide. "It's controlled access. 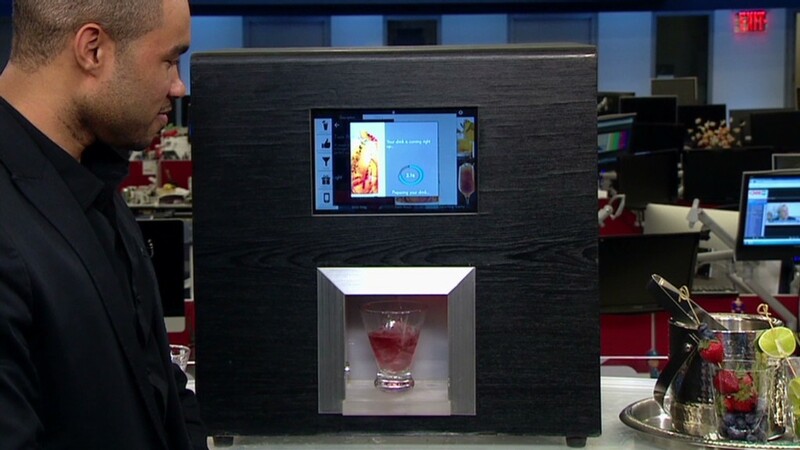 The units give 32 ounces, or two glasses of beer per person at a time," said Goodman. When the limit is reached, customers can reactivate for more pints. PourMyBeer has expanded to over 200 restaurants and bars in 28 states and Canada. The concept will roll out in Chicago's O'Hare International Airport this week and in Italy and Brazil later this year. The tables start at $4,000 and the beer walls cost as much as $16,000. It generated more than $400,000 in sales in 2013 and doubled that in 2014. Goodman expects to take in close to $2 million in revenue this year -- which would make it the company's first profitable year. "Our business customers tell us that they've cut down on waste and they're selling twice as much beer on average," said Goodman. There's one other benefit. The self-service beer units are hot social media fodder. "People take pictures of themselves using it, and tag their friends," he said. "That's great advertising for us and it's also indirectly driving more traffic to the bars and restaurants."